The busiest website in the UK for caravan lovers looking to buy and sell. 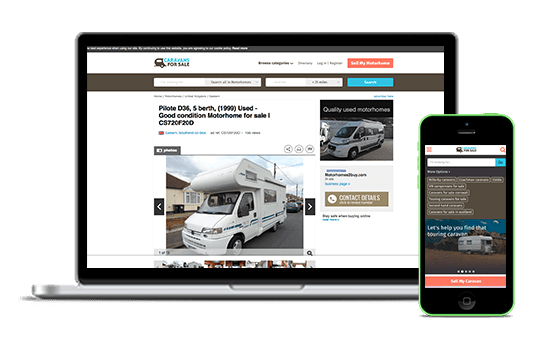 Caravans for Sale is the busiest online marketplace for caravan enthusiasts who are looking for, or selling, their caravan, motorhome or lodge. This makes us a great place for a range of industry businesses to advertise. Whether you want to showcase your stock, get a new dealer website, or you’d like to push your message to our email database, we’d be happy to run you through the various options. If you’d like more specific advertising information, please download our brochure at the bottom of this page or call us on: 01273 837855.